Spouse of convicted Vneshprombank ex-president banned from leaving Russia | Russian Legal Information Agency (RAPSI). 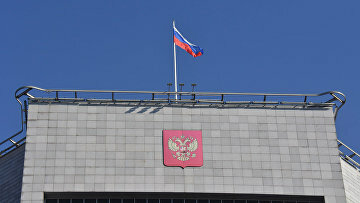 MOSCOW, March 25 (RAPSI) – The Moscow Commercial Court has set temporary restriction on departure of Lazar Markus, the husband of convicted ex-president of Vneshprombank Larisa Markus, abroad, according to court records. The limit has been imposed until the court completes or terminates bankruptcy proceedings against the debtor. On May 23, 2018, the court ordered asset disposition in relation to Markus. A bankruptcy claim has been earlier lodged against him VTB24 over his debt worth over 319 million rubles to the bank. On March 20, Moscow’s Tverskoy District Court extended detention of his wife, convicted ex-president of Vneshprombank Larisa Markus, as part of a new criminal case launched against her. The woman will stay jailed until June 24. Markus, sentenced to 8.5 years in prison for stealing 113.5 billion rubles ($1.7 billion), has been recently charged with large-scale embezzlement. In May 2017, Markus was sentenced to 9 years in prison for embezzling 113.5 billion rubles and later was declared bankrupt on the request of VTB24 bank. In August, her sentence was reduced by 6 months. Investigators and court found that Markus along with her brother Georgy Bedzhamov, who once co-owned Vneshprombank, created an organized crime group to siphon money from the bank. The group including former vice-president of the bank Yekaterina Glushakova allegedly granted loans to sub-companies and did not refund money to Vneshprombank. From May 2009 to December 2015, conspirators managed to embezzle about 114 billion rubles. Glushakova has been sentenced to 4 years in prison. Bedzhamov has been put on the international wanted list. An arrest warrant has been issued for him in absentia.